I love Italian food. Being a Chinese-born Australian living in Sydney, I'm exposed to a plethora of different cuisines that are constantly teasing my nose and tastebuds. 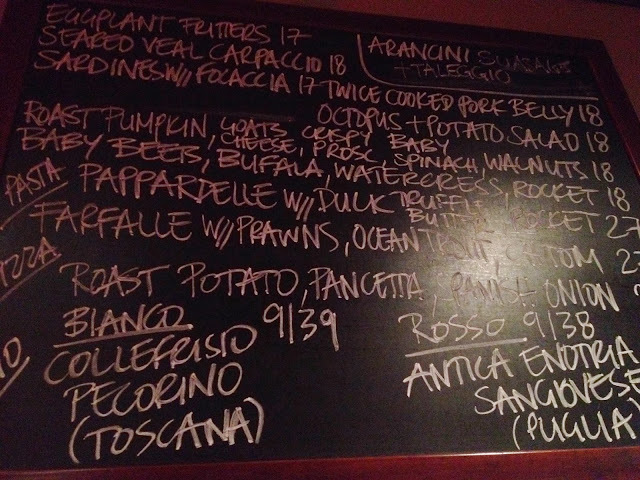 Despite being an avid Asian food lover, Italian cuisine is also close to my heart, and one of my other favourites. Growing up in the inner west, I would always enjoy the nights when we'd drive to Haberfield for an Italian dinner fix. 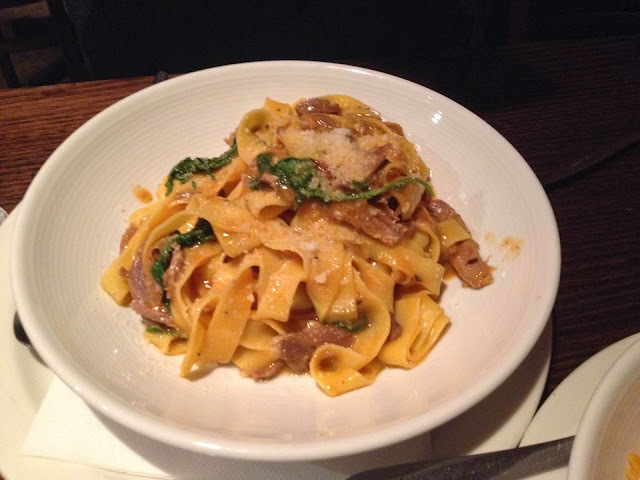 We frequently went to Il Goloso when it was on the main drag of Ramsay Street (now located in the old post office on Dalhousie st), and also like to go to Napoli in Bocca, with its huge pastas and lovely fluffy pizza crusts. Not to mention Pasticceria Papa, famous for their Ricotta Cheesecake. We love the cannolis, too! A new discovery we recently started going to this year was La Disfida, further down on Ramsay Street near the roundabout. This little restaurant doesn't take reservations for parties smaller than 5, so there would often be a crowd of people waiting outside on a Friday or Saturday night. Tonight I went with Mum and Dad, and it was quite busy for a Saturday night. We found that the crowd started dispersing after about 8pm. Although the restaurant itself looks quite small, there's a second level that can accommodate larger parties as well as small groups of diners. The pizza oven sits at the front near the front bar, which is fun to watch while waiting for your dinner. 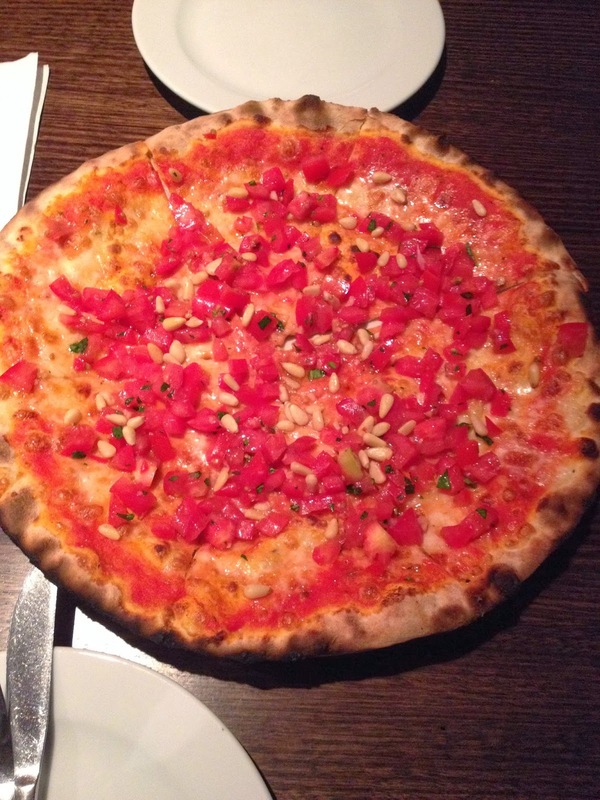 We'd had the La Disfida pizzas before, and they had a really beautiful thin crust that wasn't heavy or oily at all.To start with we ordered a Crudaiola Pizza with tomato, mozzarella, fresh tomatoes, garlic, basil and pine nuts to share. The pizza was the perfect combination of a traditional pizza and bruschetta, with the sweet tomatoes providing the perfect topping for a lovely light pizza. I really liked the pine nuts too, which added an extra crunch. The pizza dough was thin with a nice chewy, blistered crust. I had the Casarecci with tomato, eggplant and a dollop of fresh Ricotta. 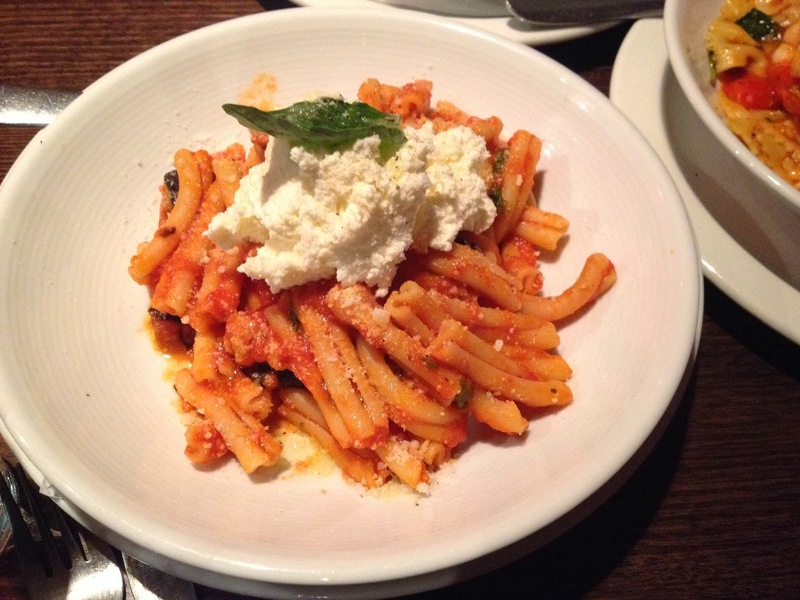 It was the classic Italian pasta, with a tasty tomato base and pieces of softened eggplant dotted throughout. The ricotta, when stirred through, gave the sauce a curdle-y texture. It was a simple and perfect dish, the tubular casarecci catching all the lovely sauce. This pasta was on the specials board, consisting of fresh ribbons of pasta with slow cooked duck and a hint of truffle butter. It was amazing - the duck gave just enough flavour to the pasta and wasn't too rich, and the barely-there sauce binded it all wonderfully. The silky pasta mopped up all the delicious juices. This was the other specials board pasta, a beautifully seafood-y farfalle with chunks of ocean trout and juicy prawns. The seafood flavour was so intense, and the blistered cherry tomatoes the perfect addition. 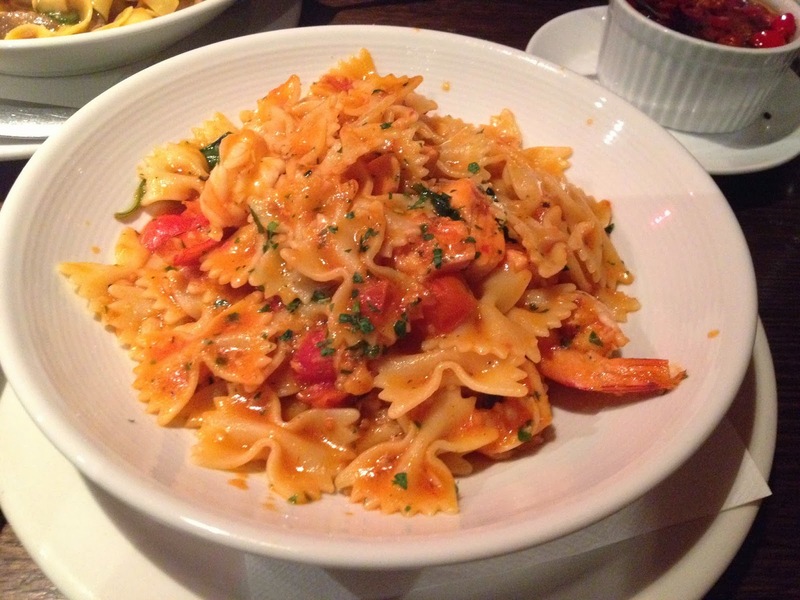 A good alternative to the traditional Seafood Marinara you'd find at most Italian restaurants. 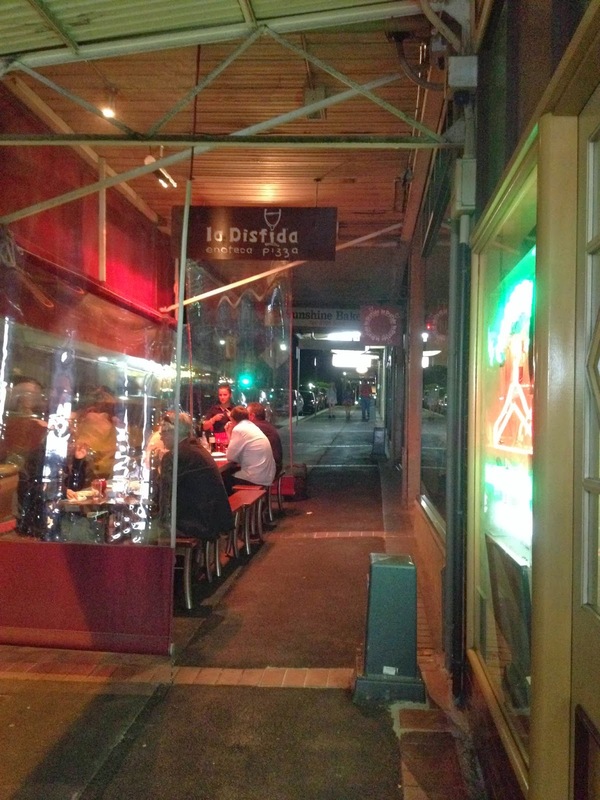 The atmosphere at La Disfida is chatty and loud at times, but it is a wonderful place to go for a nice night out and a good Italian feed - pasta and pizza alike. 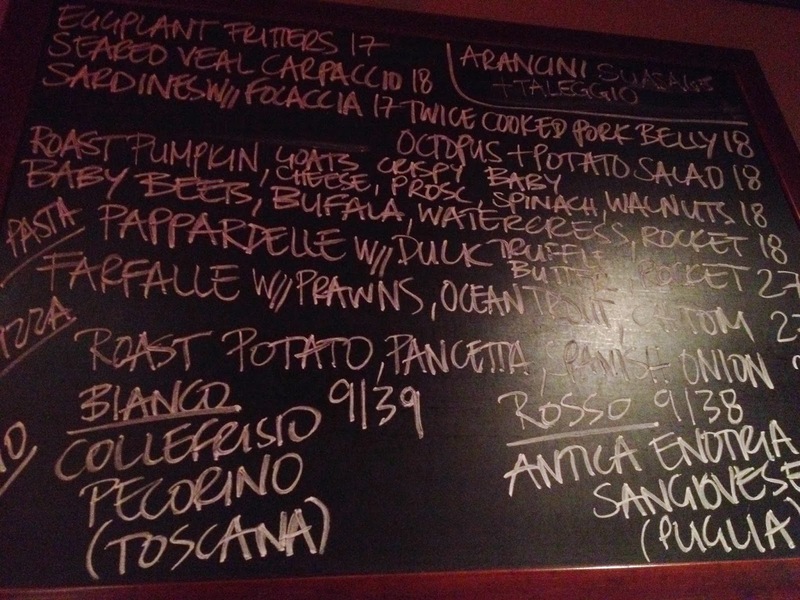 Next time we'll be sure to try more of their wonderful pizzas, as well as the many other board specials. Can't wait!